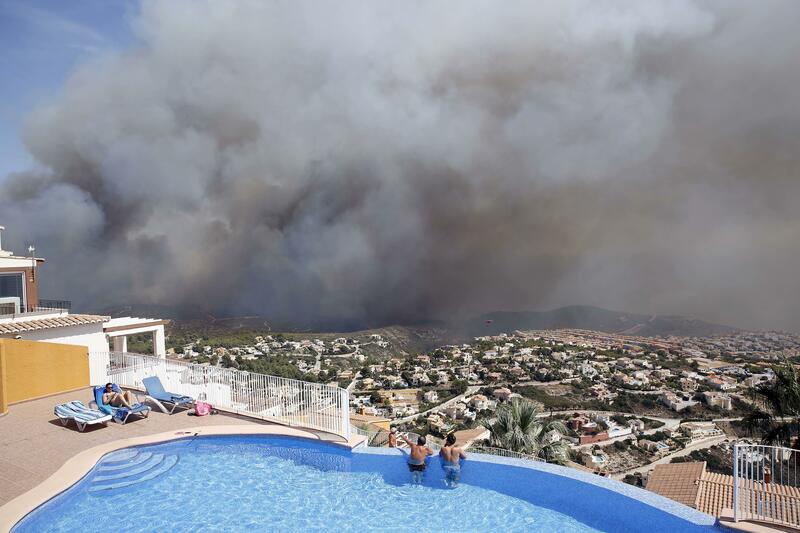 BERLIN — Southern Spain will become desert and deciduous forests will vanish from much of the Mediterranean basin unless global warming is reined in sharply, according to a study released Thursday. Researchers used historical data and computer models to forecast the likely impact of climate change on the Mediterranean region, based on the targets for limiting global warming 195 countries agreed to during a summit in France last year. The authors examined the environmental changes the Mediterranean has undergone during the last 10,000 years, using pollen records to gauge the effect that temperatures had on plant life. They came up with four scenarios pegged to different concentrations of greenhouse gases in the atmosphere. Three of the scenarios are already widely used by scientists to model future climate change, while the fourth was designed to predict what would happen if global warming remains at or below 1.5 degrees Celsius this century. The fourth scenario is particularly ambitious because average global temperatures have already risen by 1 degree Celsius since pre-industrial times. It is, however, the only one under which Mediterranean basin ecosystems would remain within the range of changes seen in the past 10,000 years, the researchers found. At the other extreme – the scenario in which global warming hits 2 degrees – deserts would expand in Spain, North Africa and the Near East, while vegetation in the region would undergo a significant change from the coasts right up to the mountains, the study states. The region is considered a hotspot for biodiversity and its landscape also has long been cultivated by humans, making it a particularly interesting case study for the researchers, whose work was published online in the journal Science. “Climate has always been important there,” said Guiot, noting that numerous civilizations – from the ancient Egyptians to the Greeks and the Romans – emerged around the Mediterranean over the past millennia. While their demise probably resulted from social and political changes, climate conditions may have played a role in the past and could do so again in the future, he said. Current flows of migrants are being driven largely by political unrest, but prolonged periods of drought could spark mass migrations of people due to climate change, Guiot said. The researchers acknowledged that their study did not factor in the environmental impact of human activity in the Mediterranean basin. Some areas already are experiencing severe water shortages made worse by intensive agriculture and tree clearance. “If anything, human action will exacerbate what the study projects, and it could turn out to be too optimistic,” Guiot said. The Paris climate agreement comes into effect next week.